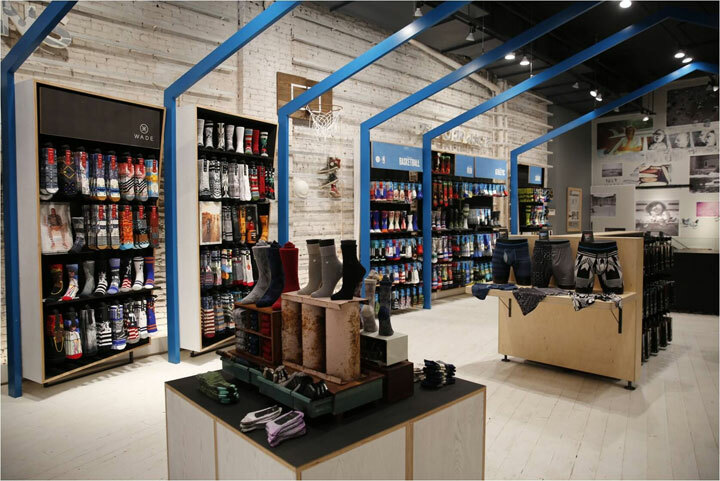 Nearly five years after the company shipped its first pair of socks and changed the landscape of a forgotten category, Stance opened the doors of its first flagship retail store in the heart of New York City. The brand brings an uncommon retail experience to SoHo with a 2,000 square foot space that offers offer new reasons for people to go shopping, especially for socks. With Stance’s never-ending devotion to distinctive design and technical innovation, the store offers curated pieces from key collections to draw shoppers off the high traffic sidewalks into Stance’s world. Along with its expansive foundation of casual and lifestyle collections that Stance is known for, other key collections highlighted in the store include Stance’s NBA line – the brand signed a deal with the league this year to be the official on-court sock – along with men’s and women’s performance socks and men’s underwear, a newly launched category. Rihanna also became a Contributing Creative Director this year, and her line is prominently displayed in the store with visual merchandising that has mannequin legs wearing her holiday collection spilling out of a silver trunk.